Sixty-two million Google results come back when you search “zombies.” You’ll find zombie clubs, game apps, gear shifts for cars and plenty more. Who cares? The Better Sleep Council (BSC) does, and so should you. Seriously. Try telling this guy you don't care about zombies. The BSC’s focus isn’t on the zombies on the big screen or those on the Internet, but rather the “real” zombies walking among us: the people who get poor sleep. These people walk around in a daze with a shabby appearance, a negative attitude and an increased appetite that could lead to weight gain. 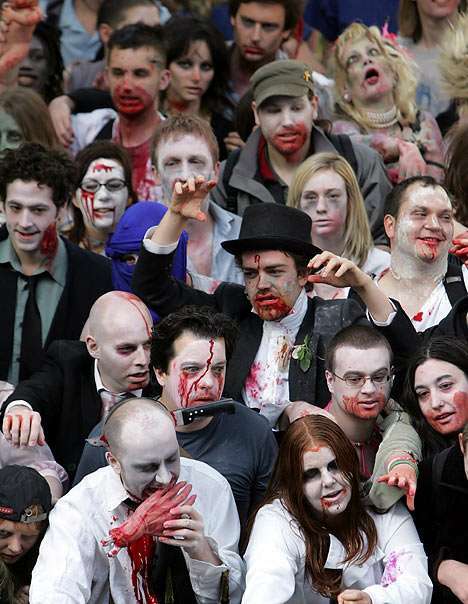 With these zombies, it’s less “eating brains” and more “getting rest.” If the industry got together to push a message that poor sleep was bad for consumers’ health, wouldn’t it make an impact? Of course it would, if we tied it back to the likelihood that a good mattress is one of the solutions. That’s what the BSC-sponsored Zombieitis campaign is doing. The BSC has a lot to say about the detriment of insufficient sleep, but as an industry, we’re not talking about it enough. This fun campaign will address sleep deprivation and hit people where it counts. Besides, those gray undereye circles are an instant zombie giveaway. 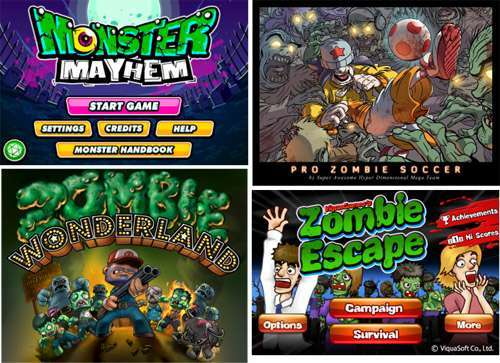 This is just a quick sample of the zombie games out there. In the past, as an industry, we have approached Better Sleep Month in the traditional way. We created press releases on how better sleep can, say, enhance work performance. We received some coverage, but the approach didn’t have legs. However, by capitalizing on the popularity of zombies, the Zombieitis campaign creates the pain of poor sleep and offers the mattress as the cure. Isn’t that approach more groundbreaking? What if everybody took off their “company hats” and thought collectively – as one industry? I’ve said it before and I’ll say it again: We are all in this together, competing for the consumer dollar against other products such as computers and big-screen TVs. To earn that precious dollar, you have to tell a better story about what you sell than anyone else. Most of us don’t have the funds to go it alone. The expression, “A rising tide lifts all boats” fits here. Will you do something to help raise the tide? This doesn’t mean you need to allocate your ad dollars to the effort. But how hard is it to add a link to your website? If you have a Facebook page, talk about it there or push some information to your employees to get them to spread the word in their own networks. It’s easy to do if you just follow this link to the BSC’s webpage, where you’ll find a tool kit with everything you need. Traditionally, zombies can multiply like crazy. Think of this as creating our own mini zombie army; one that is devoted to the promotion of better sleep. You can "join the horde." This is a chance to do something to benefit your industry, which will ultimately benefit YOU! Don’t sit on the sidelines making up excuses about why this doesn’t make sense. In this case, dragging your feet would make you a literal zombie. It’s not going to destroy your brand or benefit your competition over you, and it doesn’t even have to cost you money – maybe just some time and effort. Do you worry more about your market share than growing an entire industry? Together we can make that impact, but alone, we can do next to nothing. Decide what side of that issue you want to be on. What am I missing? What are you thinking? Full disclosure: I currently sit as the Chairman of the Better Sleep Council. This is great, Mark. From underlying goals to actual concept, you’re moving the industry in the right direction by capitalizing on existing trends, platforms and technologies. Looking forward to watching this unfold! Thanks for the comment, for some reason I did not see it but my communications team obviously did. I appreciate you taking the time to read William. Its certainly a unique campaign. In any marketing campaign I always error on the side of being a little bit bold as opposed to boring. A lot of marketing in the bedding industry is very soothing, spa-like, and relaxing and it makes me want to consider buying a new beautiful white mattress set. 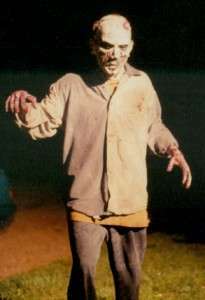 On the other hand there is something disturbing about zombies that makes me dry heave. I think its because they are dirty, bloody and pale. For some reason kids these days love zombies and since it is such a highly searched phrase on google, you are bound to get the message out to people who had no intentions of learning about the benefits of healthier sleep when they searched something like, “Do zombies eat people while they sleep in bed?” But the imagery of the campaign doesnt appeal to me at all. Thanks for the comment Mark. So far so good on the results. We have to keep trying new things to break through given that consumers see 3,500 media impressions a day we have to give them a reason to pause.